sulllakke.jpg The incident happened near Sullivan Lake in Whakatāne. Photo via NZ HeraldA 2-year-old boy has died in what police are calling a possible drowning at Whakatāne, in the North island. Emergency services were alerted to the incident near Sullivan Lake about 8.45am. No further information was immediately available, but enquiries were ongoing. Two people are injured, one critically, after a crash near Shannon that has blocked the road. 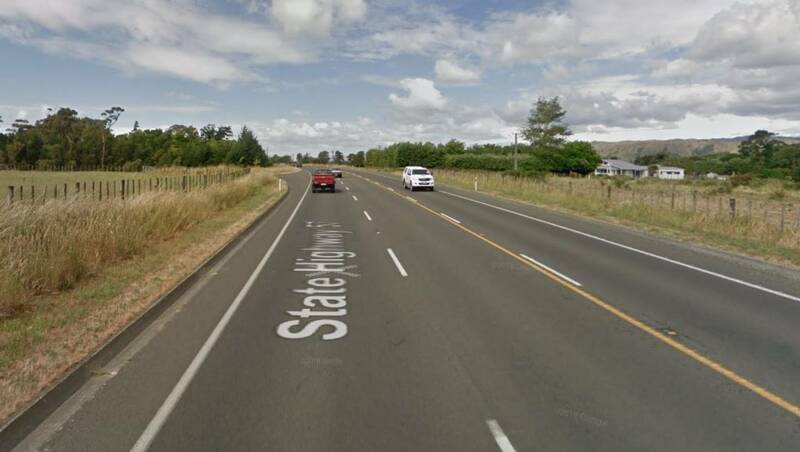 The crash happened about 11.25am on Sunday on State Highway 57, south of Shannon. A police spokeswoman said two cars were involved and a person in each car was injured, one critically and one seriously. Two rescue helicopters on route from Wellington Hospital and the entire road was blocked. Diversions are in place on the corner of SH57 and Tavistock Rd and SH57 and Foxton-Shannon Rd. Photo: NZ PoliceA search is under way for a tramper missing in Canterbury. However, Ms Visagie became separated from her group and was last seen at the Nina swing bridge about 1pm yesterday. She was wearing a blue rain jacket, orange fleece windbreaker, and long grey pants and carrying a grey Macpac pack, possibly with a yellow pack cover. Police want to hear from anyone who may have seen Ms Visagie – particularly a party of trampers who may have seen or spoken to her near the Nina swing bridge. Anyone with information is asked to call Christchurch Central police station on 03 363 7400. Cycle tourist Elianna Albarrica from Argentina took time out from her trip to help with the Fox River clean up. The bridge on the Waiho River separating the two towns was swept away and the flood also washed out a decommissioned rubbish dump on the Fox River. 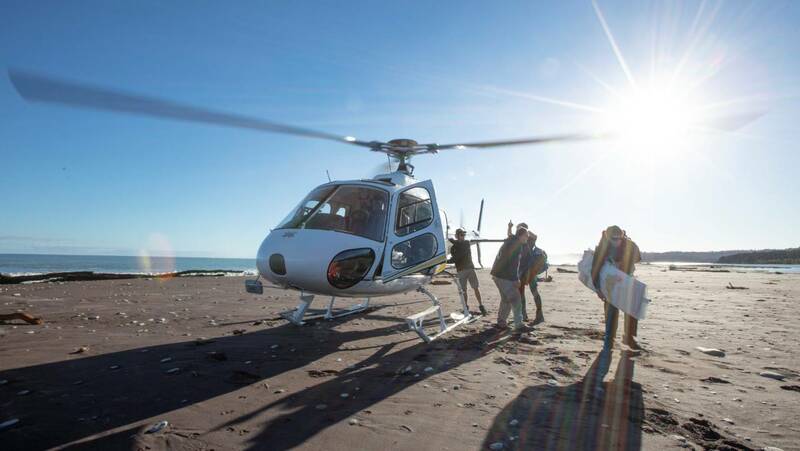 PAUL GREEN/paulgreen.co.nz Cleanup volunteers dropped off by Heli Services at the Karangarua River mouth. PAUL GREEN/paulgreen.co.nz Fox River resident Kelsey Porter coordinated the town's South Westland Coastal Cleanup volunteers. PAUL GREEN/paulgreen.co.nz Plastic bags were the most visible sign of the extensive pollution caused by the decommissioned dump washout on the Fox River after the March 26 flood. (file photo)Nothing in the first half of the Celtic vs Harlequins clash prepared anyone for the 'helter skelter' second in the pick of the Hamersley Cup matches over Easter. MYTCHALL BRANSGROVE/STUFF Celtic captain Nick Strachan had a good game in his team's match against Harlequins at Easter. Harlequins replacement No.8 Siu Kakala was proving a handful, making some big metres and he scored. The second half saw the arm wrestle continue. Then midway through the half Pleasant Point centre Robbie Wigley scored one of the tries of the season. Sir Michael Cullen forecast in November that it might be "now or never" for a capital gains tax. It is likely to be a decade before major tax reform comes back on to the political agenda, now that a capital gains tax has been rejected by the Government, Tax Working Group insider and PWC tax expert Geof​ Nightingale has forecast. Nightingale was one of eight members of the now-disbanded Tax Working Group who came out in favour of a broad-based capital gains tax when the Government-appointed group published its final report in February. 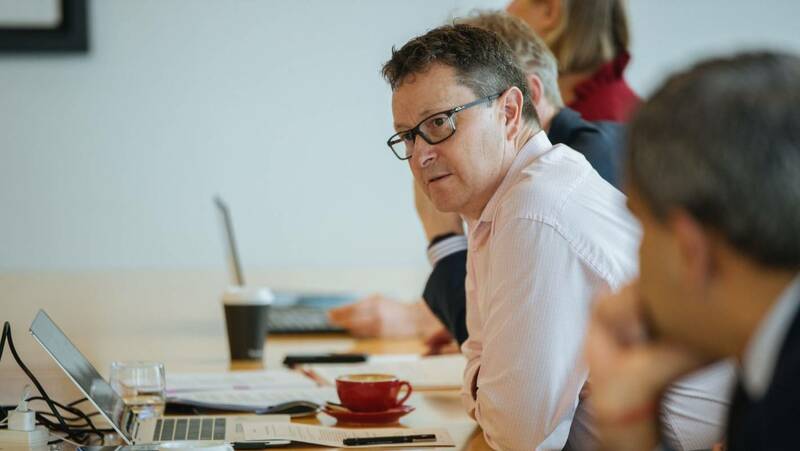 ABIGAIL DOUGHERTY/STUFF PWC tax partner Geof Nightingale - shown attending a meeting of the now-disbanded Tax Working Group - expected NZ First to oppose a capital gains tax, but not so soon. Tax Working Group chairman Sir Michael Cullen said in November that it might be "last chance saloon" for a capital gains tax as New Zealand's population aged and became more conservative. 18apr-news-living-wage.jpg Loving living wage: From left, manager Joshua Keeble and staff members Mica Bertone, Simo Sveholm and Hannah McCabe by their hotel's living wall. Photo: Mountain SceneA new Queenstown hotel is setting a benchmark for pay rates in the industry. Mi-pad is paying all 16 of its staff at least the ‘living wage’, which is $20.55 an hour. The higher rate, implemented at the Henry Street hotel in February, is recommended by Living Wage Movement Aotearoa New Zealand as what’s required to survive and participate in society. Mi-pad was claimed to be NZ’s first fully ‘smart’ hotel when it opened its personal app-operated doors nine months ago. A former "drug runner" aeroplane dropped "cocaine" over Blenheim on Friday night. 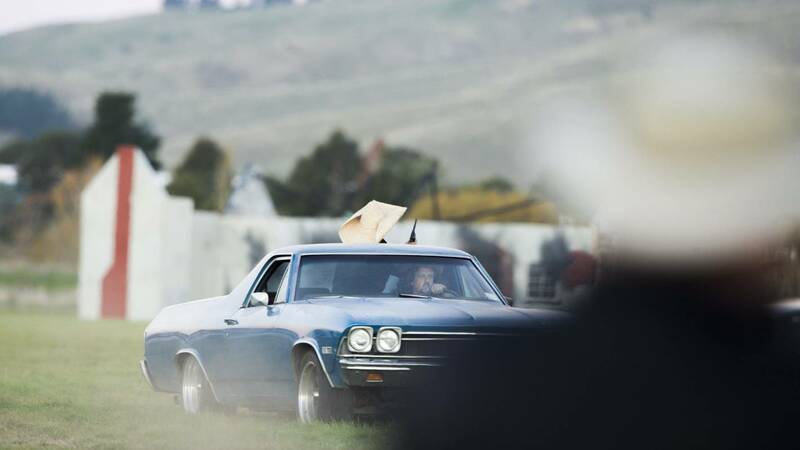 The scene garnered different responses from its audience on the first night of the Yealands Classic Fighters Airshow at Omaka. READ MORE:* Super Hornet jet plane set for Classic Fighters debut* Big Bad Wolf tests its engine before taking to the skies at classic fighter airshow* Blue skies and action wow crowds at Yealands Classic Fighters Omaka AirshowAn upbeat Spanish theme song played underneath the comical commentary of event organiser Graham Orphan. RICKY WILSON/STUFF The vintage Beech 18 drops a "cocaine" brick at the Yealands Classic Fighters Airshow. The Classic Fighters at Omaka is known for its "crazy" and theatrical projects, Orphan said. Wild NBA scuffle leads to Nets and 76ers players crashing into the crowd. The simmering feud between Australian Ben Simmons and Jared Dudley has boiled over with a wild brawl breaking out during game four of the Philadelphia 76ers' NBA play-off series with the Brooklyn Nets. Several players fell into the crowd during the tussle and two were ejected as a result of the ugly incident. Dudley confronted Embiid and the 76ers' Simmons and Jimmy Butler also became involved. 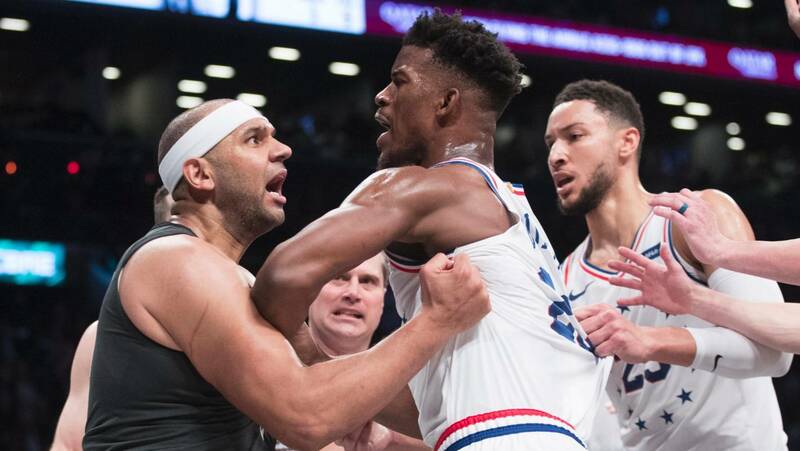 AP PHOTO Brooklyn Nets forward Jared Dudley and Philadelphia 76ers guard Jimmy Butler clash during the ugly incident. 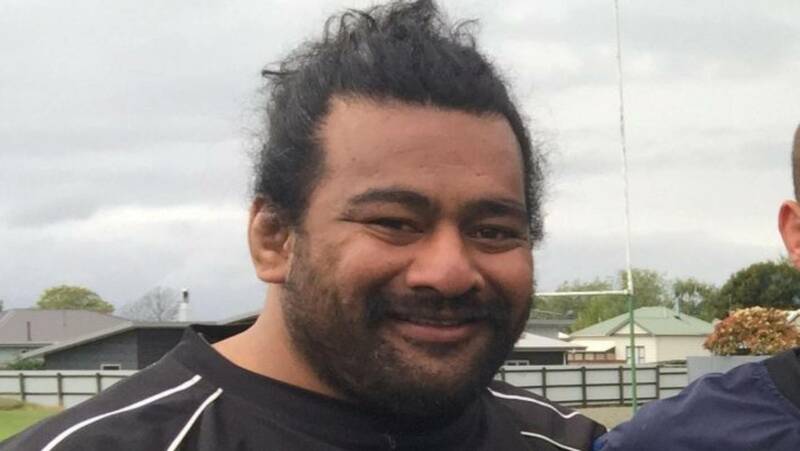 Police have launched a homicide investigation after the fatal shooting of a man in the south Auckland suburb of Clover Park last night. The cause of death will be the subject of a post mortem examination but it appears the victim suffered a gunshot wound, police say. Police are guarding the scene while a scene examination is conducted. A South Auckland resident says there was a "huge police presence" on a Clover Park street late last night, and armed police guarded the property overnight. Another resident told the Herald she thought she heard four or six gunshots but said it sounded like fireworks. Police have breached the privacy of a missing teenager by posting personal information about her on Facebook. 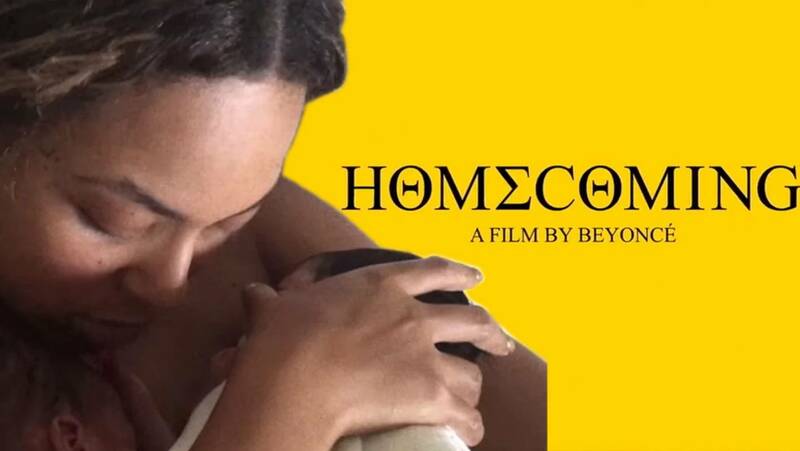 A police spokeswoman confirmed the inclusion of those details was an error and said police considered the privacy of individuals very seriously. "In this instance, private information was inadvertently included in an image included with the Facebook post. 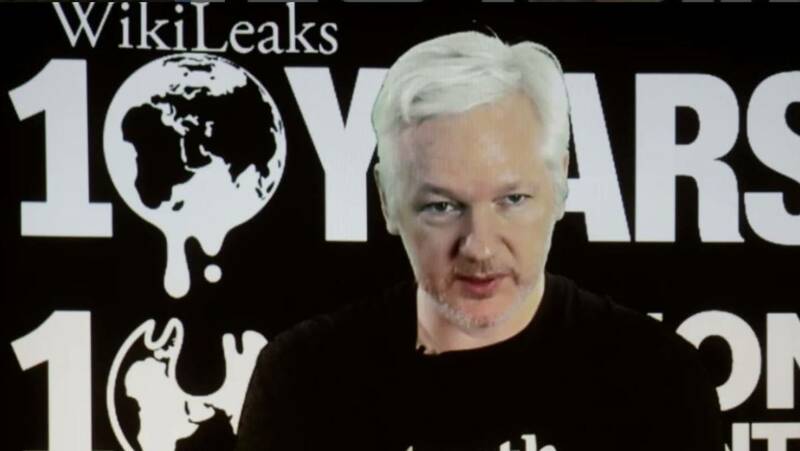 One user commented: "That's pretty private information to be sharing about a person." Police have advised the young person's caregivers of the mistake, and a privacy breach report has been filed in line with their internal process. 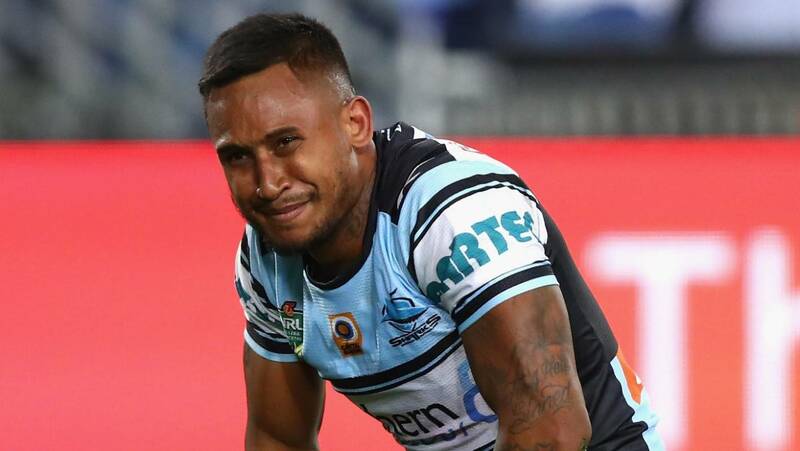 Ben Barba has taken up playing football in the wake of his rugby league ban. Disgraced former rugby league star Ben Barba has found a new sport. "From our point of view we are not interested in the past, we are interested in now," Susani told The Daily Mercury. On Thursday night the Rangers tasted victory in the first round of the FFA Cup against Country United with Barba playing striker. Channel Nine Sacked NRL star Ben Barba threatens to "hurt" a reporter after being confronted over assault allegations. Photo: ReutersPhil Foden's first Premier League goal ensured Manchester City edged past Tottenham Hotspur 1-0 on Saturday to return to the top of the Premier League and avenge their Champions League elimination by Mauricio Pochettino's side. City struck early when Foden headed home on five minutes after a clever ball back across goal from Sergio Aguero. 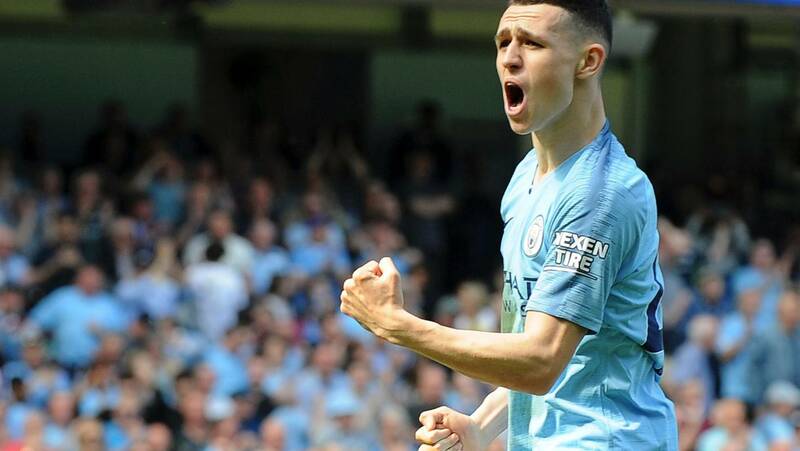 "It's my first Premier League goal so it will live with me forever," said Foden, who admitted he was surprised to be given the chance to start such a vital game. (City keeper) Ederson was man of the match. Perez sealed the points late on to become the first Newcastle player to score a Premier League hat-trick since 2015. Watching Manchester City's Champions League slugfest against Tottenham, Phil Foden sensed his side's energy-sapping exit could present an opportunity. When it came on Saturday against Tottenham - completing a trilogy of matches against the north London club since April 9 - Foden scored his first Premier League goal on only his second start. The immediate priority for City is wrapping up a treble by defending the Premier League and beating Watford in the FA Cup final next month, having already collected the League Cup. "It is in our hands to be in the Champions League next season,'' Tottenham manager Mauricio Pochettino said. Watford's sixth win on the road this season kept the seventh-place team on course for its highest Premier League finish. A police officer stands next to the burning motorcycles during a demonstration on Act XXIII (the 23rd consecutive national protest on Saturday) of the yellow vests movement in Paris. Police responded by firing tear gas and stun grenades. As of midday on Saturday (GMT), a total of 9,600 people were demonstrating across France, including 6,700 in Paris, the interior ministry said. Large portions of the Paris metro network were closed and about 60,000 police were deployed across France, authorities said. Police also fired tear gas in the city of Toulouse, where thousands of people were demonstrating, including hundreds of motor-bikers holding a large banner asking for President Emmanuel Macron's resignation.